Practice tests are included at the end of each book. Can this be used with Singapore Math? 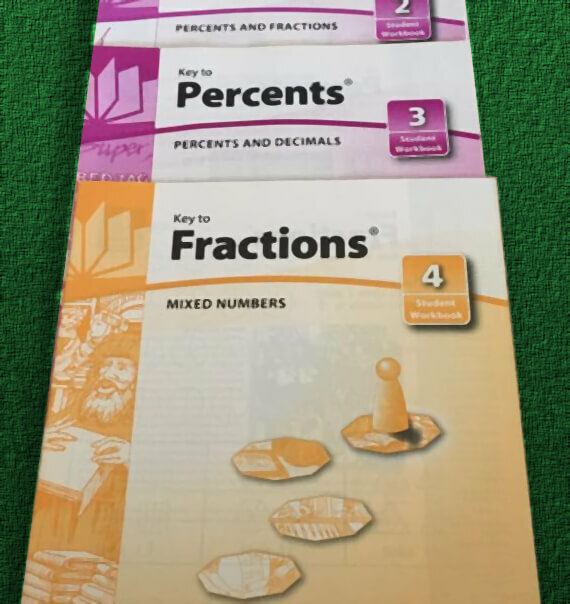 We recommend buying the bundle of 4 Key to Fractions Workbooks. Key to Fractions by Key Curriculum Press is an (extremely) highly recommended specialized math curriculum (fractions). Concepts are introduced in a simple and logical way. The simple format allows almost any student to easily grasp new ideas and concepts. Some students that enjoy math and have good retention may still struggle with concept development. Key to Fractions offers alternative explanations of the mathematics material through a short and incremental approach. This curriculum can also be used to remediate my older student's math education. Yes! We are both familiar with, and fans, of Singapore math books. Homeschoolers can use both of these curriculums together without fear. The most common result is a well-rounded math student.